After a year of special celebrations, on October 8, our Jubilee Year concluded. I will now take the time to look back and reflect and write about the highlights of this year. This theme expresses what is important to us – to be close to the people with our hearts and hands. We live from the strength that God gives us and we know we are loved and carried by Him. God Himself is the reason, from Him we live, the source from which we draw. This is how it was in the past 100 years and still is true today. And with trust that this foundation carries, that the well never runs dry, we go into the future. From May 2011 to October 2011 we had several celebrations – here in Racine, Wisconsin; at the Motherhouse in Wuerburg, Germany; and Lucerne, Switzerland. 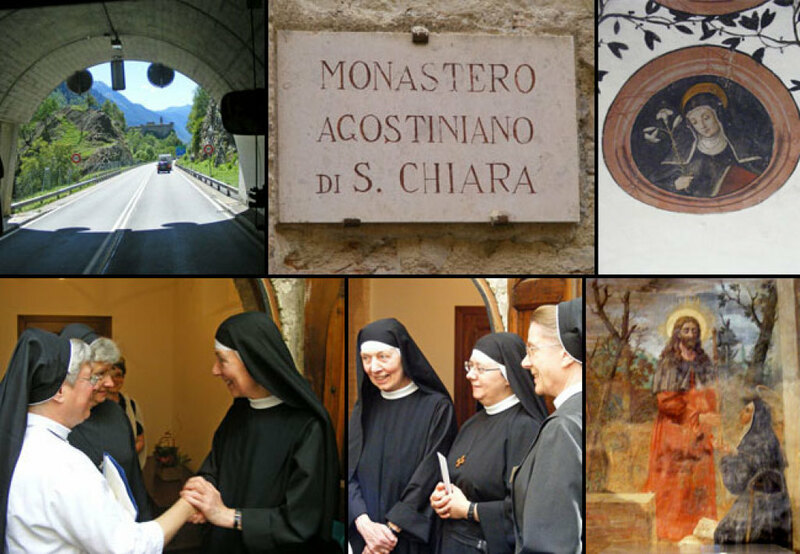 To prepare for this special jubilee year, the Sisters planned a special pilgrimage to Cascia, the Shrine of St. Rita, our patroness. From August 30th to September 7th, 2010, several Sisters of St. Rita, employees, members of the “Way-Community, as well as other friends of the community were on this pilgrimage. 43 pilgrims with Fr. Borawski as their spiritual guide participated. Before their departure in the early morning of August 30th, the pilgrims gathered at the Motherhouse chapel to receive a blessing for their travels. On the bus, Sr. Clare Marie from the convent of St. Rita in Racine, got a surprise “Happy Birthday” with balloons. She celebrated her 60th Birthday this day. What a nice way to start out a new year! 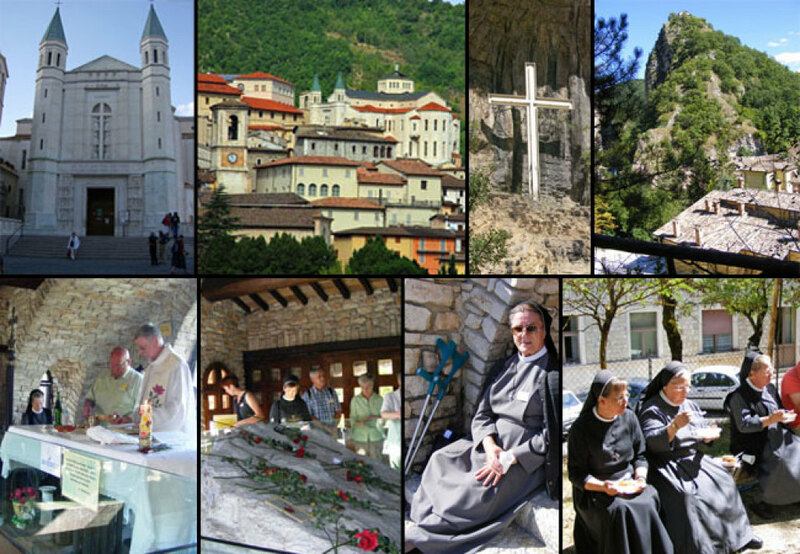 In Cascia and vicinity, the pilgrims tried to follow in St. Rita’s footsteps. Historically not much is known of her. But the historical places and the harsh (austere) landscape of Umbria helped everyone to get to know this fascinating saint of the Middle Ages. The small path from Cascia to her birth place in Roccoporena which the pilgrims walked, the time for prayer in the church where she was married, the impressions of the house she was born in, the climbing up the Scoglio and the celebration of the Eucharist up there invited the pilgrims to reflect about their own origin. 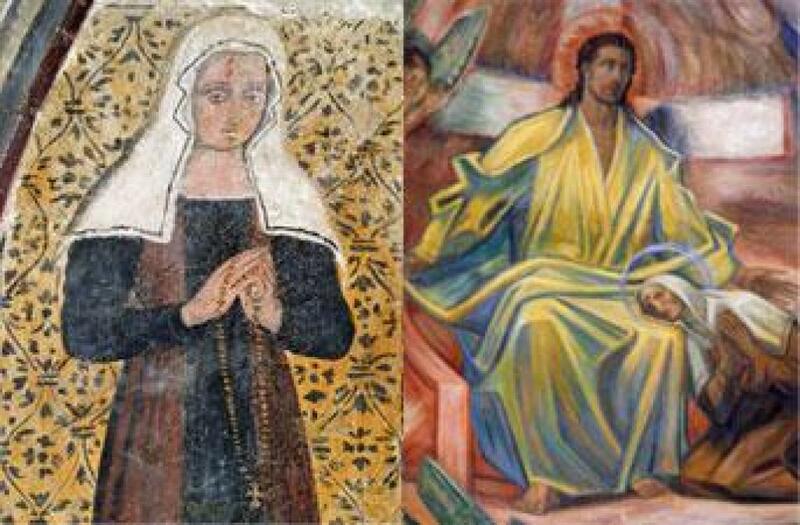 Reflecting on St. Rita’s baptism as they visited the old churches with their paintings were help in remembering their own baptism and coming to term with one’s own Christian character. Here the question was: What is my image of God and how was it formed? A highlight of the pilgrimage was the visit at the Augustinian Cloister where she lived and died. After the murder of her husband and the death of her sons, Rita entered the community. The dry vine that she had to water as a test of her obedience came back to life and grew. The Sisters claim that this is the same vine that Rita watered, and many modern wine growers confirm this possibility. The prayer room at the cloister, the cell of St. Rita, her wedding ring, the first beautiful painted wooden casket – all left deep impressions on the pilgrims and helped them to reflect about their own life journey and vocation. The pilgrims also visited the hermitage Madonna della Stella; here, St. Rita found spiritual advise in difficult situations. Some pilgrims went by foot to the mount and the rest took the bus. 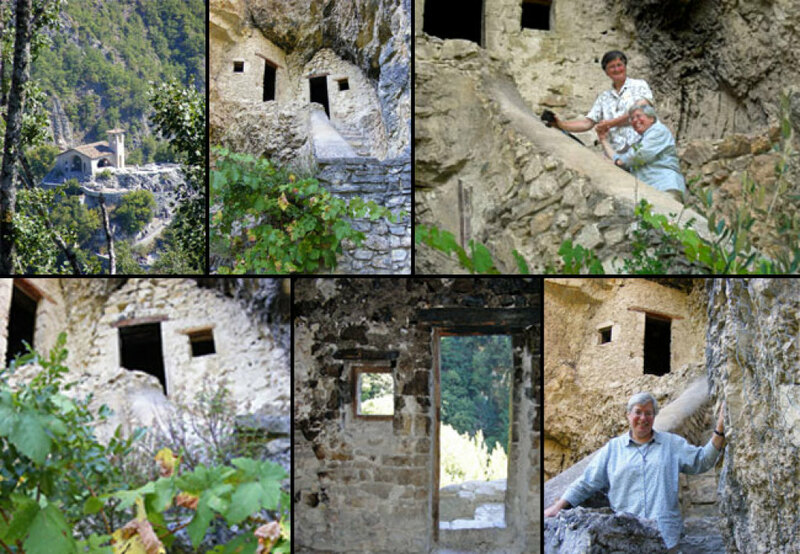 In our modern times it is hard for us to imagine how monks were able to live in caves hewn out of the rocks. Here the pilgrims pondered the questions: Where do I get advice? And to whom do I offer advice? How much am I willing to sacrifice to find God? The last day belonged to the theme reconciliation and peace. St. Rita was a peace-maker and this is her gift to us. In the Franciscan church in Cascia is an old fresco of St. Rita. Most likely it was painted while she was alive and depicts the public peace conclusion between the family of her husband’s murder and her own family which she accomplished. After a prayer service in this church the pilgrims had to get ready for the departure from Cascia. Once more they went to the basilica to pray at the sarcophagus of St. Rita. 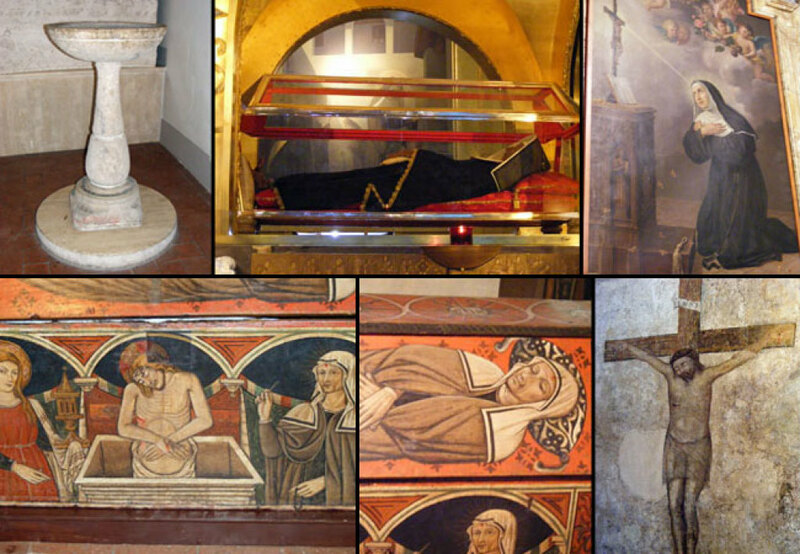 On the way home they stopped in Montefalco, where St. Clare of Montefalco’s sarcophagus can be visited. She also is an Augustinian Saint of the Middle Ages. On the evening of September 7, the Sisters at home greeted and welcomed the pilgrims back with open arms and a warm, delicious meal – the symbol of Augustinian hospitality.